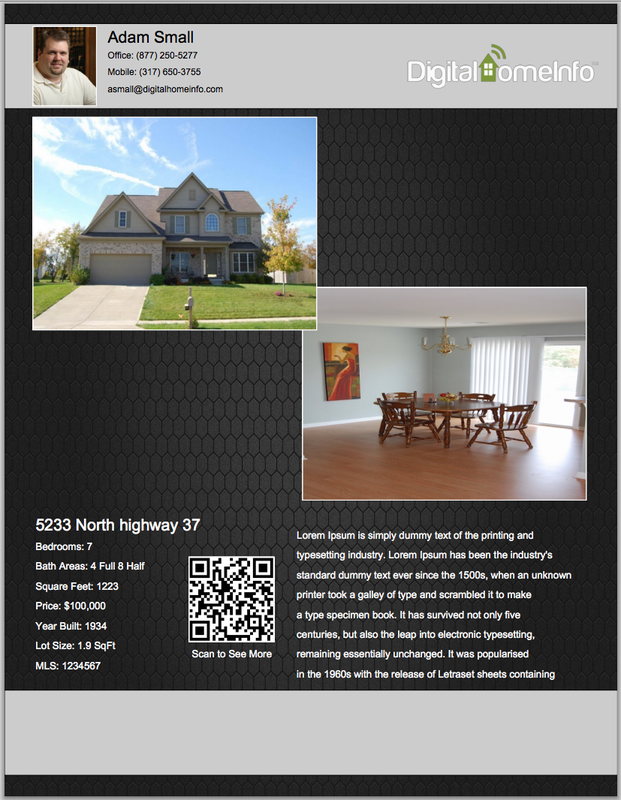 Connective, LLC is proud to announce the immediate availability of My Listing Flyers. 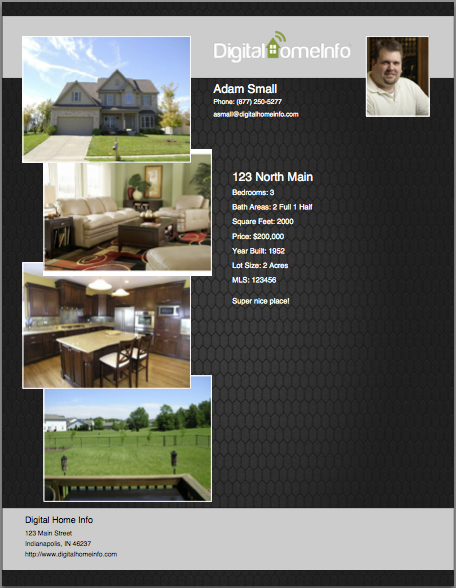 My Listing Flyers is a simple tool designed to help Real Estate agents design high quality, professional listing flyers. Forever Free – A great way to get started. The forever free program includes 6 templates and 5 backgrounds. 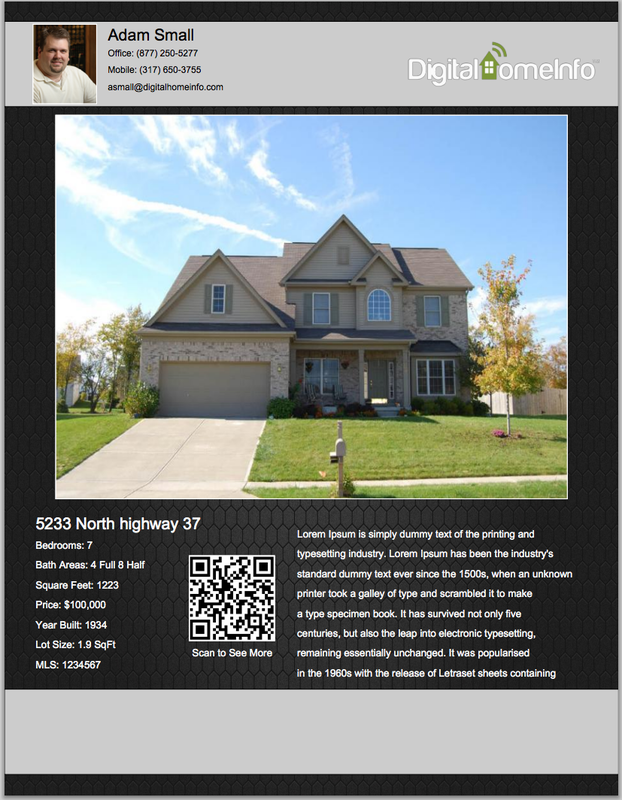 Agents can create an unlimited number of flyers and save, print or distribute them in any way possible. Each free flyer is branded with the My Listing Flyers logo. Premium – All of the features of the Free program with over 20 templates, dozens of backgrounds and hundreds of different combinations. There is no My Listing Flyers branding. This plan is just $4.95/month. Connective, LLC, a mobile marketing company, has been in business since 2008 and focuses heavily on the Real Estate Marketing industry. 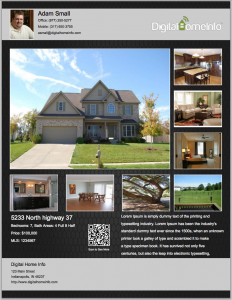 Their flagship product, Digital Home Info, is a real estate marketing platform that provides text messaging, toll free call capture, virtual tours, social media and email marketing services to thousands of realtors across the country.